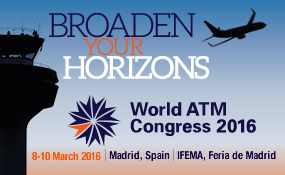 NTT DATA exhibited airpalette products at CANSO ATM World Congress 2016 held in Madrid from 8 to 10 March 2016. It was fifth time for NTT DATA to join the congress. In our booth (#881), we introduced PANADES, airpalette ATFM, airpalette 3D Simulator, airpalette eTOD, and airpalette RDP. We welcomed more than 200 visitors from all over the world with Japanese sake. 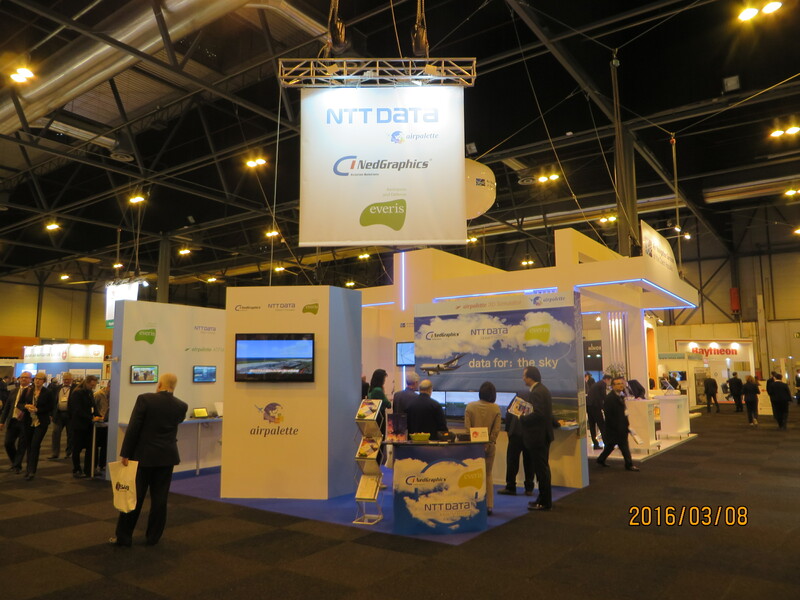 This time everis and NedGraphics joined NTT DATA booth as co-exhibitors. everis exhibited face recognition software by Herta Security, and drone engine “Veronte Autopilot” by Embention. NedGraphics exhibited smartGlobe Aeronautical Charting system, which can be used as an add-on to PANADES. NTT DATA plans to join the next year’s Congress which will be held on from 7 to 9 March 2017.